Enjoy playing sports to the max? Here at Gilvar Lining Ltd we can help maintain the life of your sports court and keep it looking its best for you. Whether you are a leisure centre, public school or are in the private sector, we will be able to provide you with a precise and reliable service. 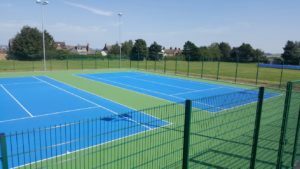 You may be planning a refurbishment of an existing court or planning a new build, we will be able to offer insight and guidance throughout the project, and will work with others to get the best finish for your sports court. 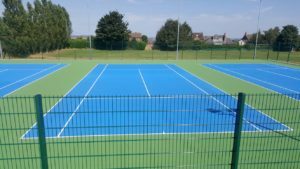 Contact us today for further information on the types of sports court markings we can provide for you.